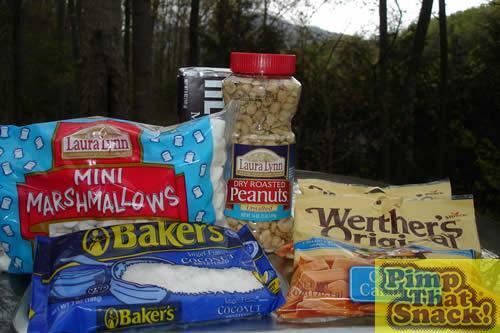 Learn more about Baby Ruth (Nestlé) at Snackabase.com! Appalachia in full effect! There’s not much to do on a rainy Sunday in the mountains of Appalachia but talk bad about the neighbors or go to church, or most likely both. 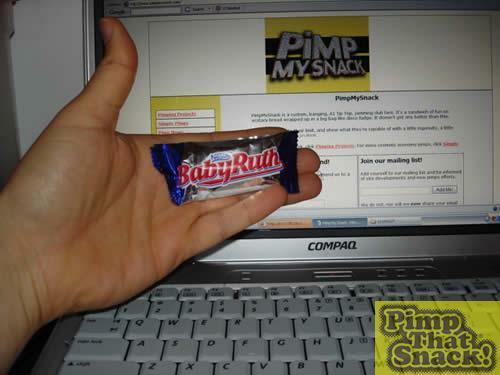 I didn’t want to do either, so what else could I do but pimp a Baby Ruth while listening to the BBC? (Ok, so I’m not from here originally). Total cost: about 15 US Dollars. 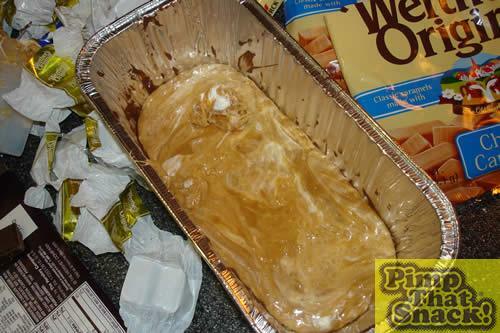 I bought a tin cake pan for ease of removing the monster later, which proved to be a good decision. 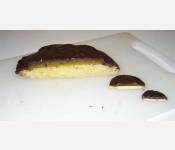 I managed to melt the chocolate in the microwave without burning it the first time, then my luck ran out. The center of a BR looks like pure caramel, but I thought I’d never be in a position to buy mini marshmallows again, so I went for it. Simon approved. 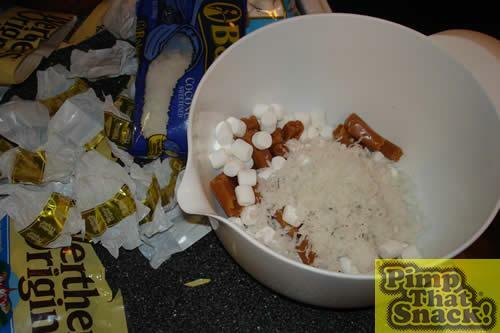 The addition of coconut was an inspiration from God. We talk to him often in the mountain, being so close, and all. 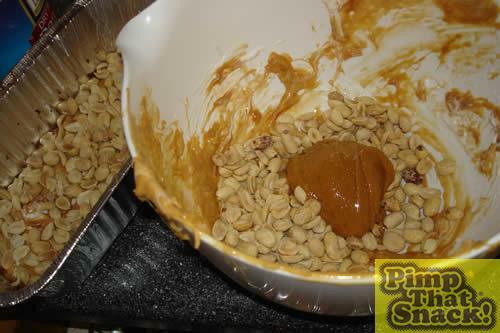 The peanuts wouldn’t stay together until I added some peanut butter to make them sticky.